If you are reading this review, it means that you are interested in a 4th generation (blockchain) technologies and ICO projects with a high-quality solution and potential for success. Have you noticed that nearly 80% (or more) ICO’s are trying to bring blockchain technology solutions while solving some of the blockchain biggest problems? That way they are trying to make a revolution in the blockchain technology. This ICO really makes the difference with new blockchain solutions. We will show you our opinion about this ICO in order to help you with making your decision about participating in Aergo ICO, but don’t take our opinion as granted. Visit Aergo website and read their whitepapers in order to be 100% sure that you agree with us about Aergo ICO potential. You will see two kinds of whitepaper’s on the website, so make sure you look at both of them. Read about the problem they are solving and, of course, our opinion on their success in the future. Aergo is a smart contract that enables storing and accessing data and SQL-like scripting language. In an Aergo ICO review, you will find out why so many people appreciate Aergo ICO. It’s ok if you won’t share their (or our) opinion, but make sure you have given a chance to Aergo’s team and idea because they are worth it! The great thing is that Aergo has three types of papers: business and technical whitepaper, and a smart contract. Of course, we will give you review on those whitepapers and smart contract, but read them yourself, as well. You know you should not rely only upon only one single source. 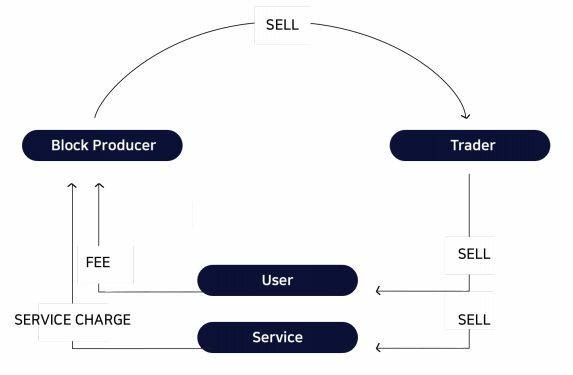 We will explain to you the three components of Aergo solution: Aergo chain, hub, and the marketplace. For now, you can look at the Aergo chain picture to get some idea of what this ICO is actually doing. Later we will tell you more about the solution and will help you understand it and evaluate ICO’s quality and potential. The general idea of Aergo is to develop serious blockchain solutions. The Aergo team is calling this project ‘a serious disrupter’ because the project is a combination of 4th generation enterprise ready blockchain protocol with an IT platform that uses advanced technologies. 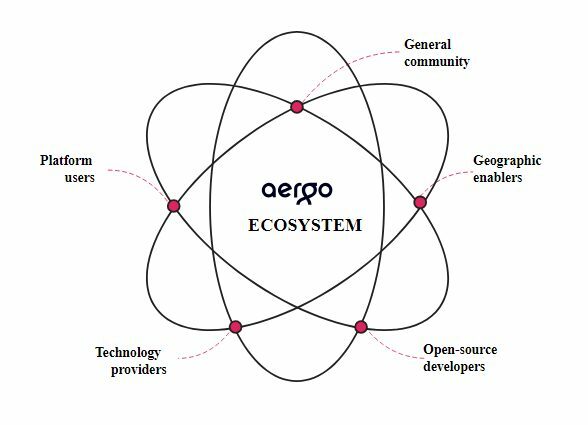 The idea of the Aergo project is to build a comprehensive ecosystem of decentralized application, technologies and service providers that leverage secure cloud delivery models. For that reason, Aergo is all about open source technologies. Later we will talk more about the team and their experience in this field, but there is something you must know about Aergo as soon as possible! One of the team member’s is Vincent Zhou who is considered to be the most well-connected and visionary crypto hedge fund manager in Asia. Not only that, but he is already a successful blockchain and crypto investor (e.g. he is founding partner of FBG Capital) and has extensive experience in digital assets trading. What is more, he is an early investor in a broad spectrum of blockchain companies and projects. If you ever see the ICO with a team member who has great credibility in cryptocurrency and blockchain field combined with skills of recognizing the quality of the project in its early stages, you must definitely pay attention and explore the projects that he has recognized as great ones. If that project is ICO, pay attention to that particular ICO. For that reason, make sure you understand the problem Aergo is solving and the Aergo solution. To be honest with you, today is the best time to think about investing in Aergo ICO. The truth is, there are only 11 days left before ICO will end, but you still have plenty of time to think about Aergo ICO review conclusions and to participate in ICO. Later we will talk more about the token sale, but there are many more information about Aergo that you should think about before participating. You already know that Aergo will be the 4th generation blockchain protocol, which says a lot about the potential for success in the future. So let’s see what is the problem that this team is trying to solve with their solution. First of all, everyone knows that public blockchain protocols (such as Bitcoin and Ethereum) have some disadvantages that many ICO’s are trying to solve, and many users are feeling like the need for blockchain technology improvement is growing from day to day. If everyone as a regular user can feel these disadvantages at a daily basis, imagine what it feels like for enterprises who cannot use blockchain technology and upgrade their business because there are some blockchain disadvantages that are hard to solve. There is the lack of control over features and development of an existing blockchain, low performance, and low scalability, and finally, many private/permissioned blockchains aim to fulfill the promise of becoming fit-for-purpose, but they entail immense costs in terms of infrastructure and forfeit the ability to evolve at the speed of open source. On the other hand, blockchain technology improvement is stagnating in comparison of what blockchain could look like if all past ICO GOALS WERE ACCOMPLISHED. Aergo ICO is different. You are probably asking why is Aergo different from other ICO’s. Well, the answer is simple. In order to solve the problem, first, you must define the cause of these problems. Aergo has done that! it also needs to be much easier to program and to use, for it to be adopted across many sectors. 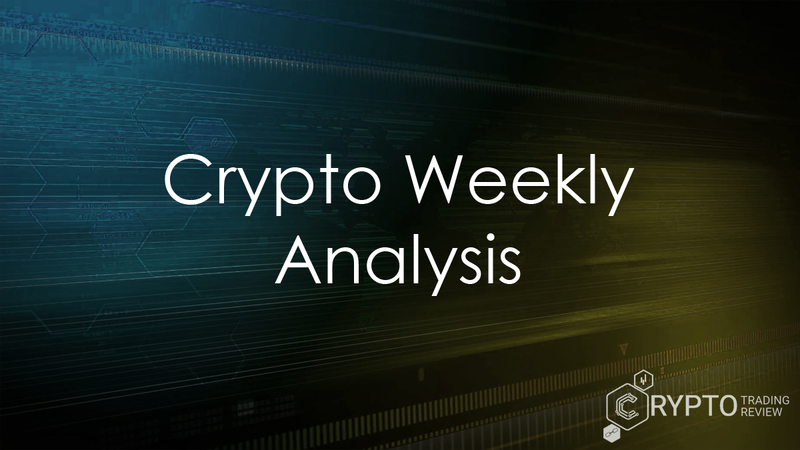 Now let’s see what Aergo has to offer as a response to these problems and if the Aergo team and solutions really possess a potential to make some changes, and of course, to bring you a nice profit. First of all, let’s remind ourselves that Aergo solutions are designed as a flexible, plugin-based smart contract infrastructure. Aergo solutions have the ability to deploy on either public or private blockchain networks, so the Aergo gives businesses the flexibility in developing and deploying blockchain applications with unparalleled speed, scalability, and performance. This is a nice idea of how the problems that we have just described above should be solved, right? A lot of blockchain start-up investors think the same. Wait for the section about Aergo investors to see more about that topic. Because Aergo will implement smart Oracles, that will allow smart contracts to consume data with external services and internal databases and trigger events, so that businesses and developers will be able to execute smart contracts written for the Ethereum Virtual Machine or AergoSQL. Aergo ICO will have the network backboned by GitHub-like public and permissioned repositories of Distributed Directories (DD). Take a look at the Aergo architecture. Of course, the solution is in the Aergo’s platform, which consists of three special components. Let’s see more about them. Right after that, we will talk about pricing and bonuses, so make sure you stay tuned and don’t lose your precious focus! As previously said, Aergo solution consists of three main elements: the Aergo chain, hub, and the marketplace. Before going further into solutions, you might not know that Aergo is a project created by Blocko, the private blockchain called Coinstack. Coinstack is based on a Bitcoin architecture and Ethereum Virtual Machine executing smart contracts, but it has different features than original Bitcoin architecture. Aergo is a product of the need for leveraging the toolchain and the application architecture of Coinstack supporting use-cases. Blocko analyzed the problem of businesses and realized that they need better blockchain scalability, better environment for development, data privacy, administration and provisioning, and structured and unstructured data storage. When it comes to scalability, Aergo has multiple ways for achieving it: domain partitioning, scale up and scale out. First two are simpler solutions than the third one, but the combination brings better scalability results. If you want to read more about scalability solution visit Aergo website but make sure that you use only the secure and tested link to Aergo web address. In order to make future adoption possible, Aergo builds an ecosystem. As you can see, some components are active at this moment, and some will be in the future. General community refers to the community and to the future app users and the geographic enablers are regional business partners. On the other hand, technology providers are blockchain hosts and cloud providers, and the platform users are dApp providers, BLOCKO customers, and partners. We guess you know who is the open-source developer, so we will not go into detail with that one. Aergo solution section wouldn’t be complete without few words (and conclusion) about Aego hub and marketplace, don’t you think? Aergo hub is a hosting service. Its purpose is to act as a public interface for building, testing, deploying and managing blockchains based on an Aergo chain. Aergo platform would not be possible without the hub because the hub brings the Aergo blockchain protocol to life. On the other side, there is the Aergo marketplace. Without a marketplace, sale and purchase of peer-to-peer computing assets would not be possible, as well. Finally, Aergo marketplace wouldn’t be possible without the hub public interface. Overall, we can say that Aergo solutions are combined in a way that they complement and support each other, and thus brings us well-planned solutions. It seems like Aergo really has a potential to execute these solutions. They are not complicated, and yet they are planned in the most efficient way. First of all, let’s take a look at some basic information. First, the hardcap. Aergo has $32,000,000 hardcap. Until today, ICO collected 91% of that amount, which means they already have $29,000,000 and they are only $2,000,000 short from their hardcap. Not many ICO’s have such a success. There are 11 days from today (23d September 2018) to collect the rest of the funds. There is no doubt they will succeed. If not, that won’t be such a bad thing because this is a great amount of money to keep going with the project. Second, Aergo doesn’t have a whitelist, and we bet you were struggling to find more information about token sale process before you ended up reading our Aergo review. You are at the right place where you will find out everything you need. At this point, when it comes to the token sale process, you should only know that there are just a few days left until token sale will be closed, so this is the last token sale round and you should make your investment decision as soon as possible. Let’s take a look at the advisors and team to see if this project has any chance to stay alive after the ICO. As you can see in the pictures below, there are 8 advisors, 3 board members, and three committee heads. We’ll just take a quick look at their experience and knowledge to make this thing short. We know you don’t enjoy reading about their experience but are looking for expert’s conclusion about the team in general. So, here we go. We’ll start with the most important advisors. Riad Hartani co-founded and led many successful high-tech startups like Caspian, Anagran, Wichorus, and others. Not only that but he advised over 10 leading technology corporations, private equity houses and few governments and regulators. They let him lead their operations and businesses. Don’t you think Aergo has one of the best advisors ever? On the other hand, there is P.F. Suhrcke who is Fintech expert and investor (active since 1999), with more than 17 years of experience at management positions in Investment Banking. He is a Venture partner at Tempocap and a board member of Acorus Capital. Should we continue? Other advisors and board committee have the similar experience. In other words, all of them have a lot of experience and knowledge in their field of expertise. We bet you like them all! 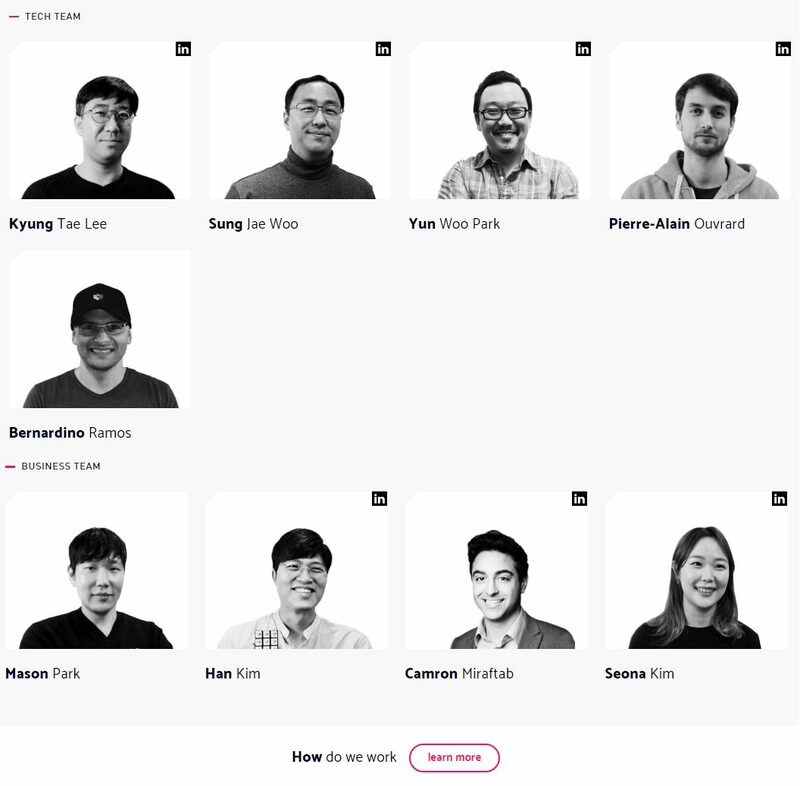 If you are not one of those who easily gets bored reading about team’s experience at the past projects, go to Aergo website and read more about team members and advisors because there’s a lot of interesting information about them. If you are not interested in such an adventure, stay with us then. It’s not that we are the only one who thinks Aergo advisors are great. Their knowledge and experience speak for themselves. We hope you stayed with us to see more about the team. Aergo has the tech and business team nicely presented on their webpage. Some tech members have more than 10 years of experience in their field (like Yun Wu Park with experience in International DBMS and distributed management system and R&D database), and business team members have some experience in marketing, advertising, and public relations, but to be honest, there is nothing special about them. Business team members are ok, but we are not delighted with them. Still, this doesn’t influence our opinion about Aergo ICO potential for success. Is there any difference from advertising expert with 6 years of experience and the expert with 10 years of experience or more? For the advertising needs of the ICO, you don’t have to be the most respectful advertiser on the planet. Aergo ICO has great hype. If you visit ICO’s social network, you will see some nice numbers. For example, we always like to check Twitter first because if ICO has nice popularity on Twitter, it means it has nice popularity in general. Even though that is not a rule, it is a good sign of the ICO that is recognized by many people. Aergo has 4,136 Twitter followers and is active not only on twitter but on the other social networks, too. When it comes to hype outside of social networks, we can see that many are discussing Aergo. At the beginning of the ICO, Aergo had a nice hype but it is hard to compare it to the hype it has today. Many ICO review experts started exploring the quality of Aergo services and ideas but before they made any conclusion, Aergo collected more than 90% of the total funds they need for the project. In a few days, we are entering Q4 2018, which means that Aergo will very soon release a test network for the public to try it out. Until today you had the opportunity to see Aergo distributed version control that offers advanced backup and restore, and other functionalities like point-in-time recovery, and multi-tenant repository (in Q3). Have you tried them already? In Q1 Aergo announced smart contract that enables storing and accessing data and SQL scripting language. The whole year after the smart contract, Aergo will show us the public network with blockchain protocol that will empower operations of dApps and enhance the privacy of transactions. Finally, at Q3 2019 we will see Aergo hub and marketplace for business and developers. What do you think of this roadmap? If we compare the experience of advisors and tech team members, and the simplicity of a roadmap, it is obvious that the team won’t be struggling with achieving the goals from this roadmap. If you look at the picture with Aergo’s investors, you will find some of the most respectable names in the crypto and finance industry. An interesting example is FBG Capital that is founded by Vincent Zhou who is famous ICO investor respectable for choosing only the best ICO’s. Of course, there are many other investors who believe that Aergo ICO really has the potential to make changes in business using Aergo blockchain protocol together with an IT platform that uses advanced technologies. We made a research about investors and the conclusion is that not every investor on the list is respectable, but many of them are. If they made a decision to support Aergo, it means they expect something nice from Aergo. Aergo ICO has utility tokens. If you are not sure what utility tokens are and what is their purpose and performance, look for our Guide to ICO Investment to find out more about them. You cannot participate if you miss this kind of information. The main purpose of the Aergo token is to serve as the medium of exchange within the Aergo ecosystem. On the other hand, Aergo token gives the holder the right to some services in the ecosystem. If you get some tokens, you will be able to transfer them within the Aergo platform. When a Main-net goes live at the beginning of 2019 (look at the roadmap if you skipped it), and if you will be holding Aergo tokens, you will be able to access and purchase products and services on Coinstack V4.0. 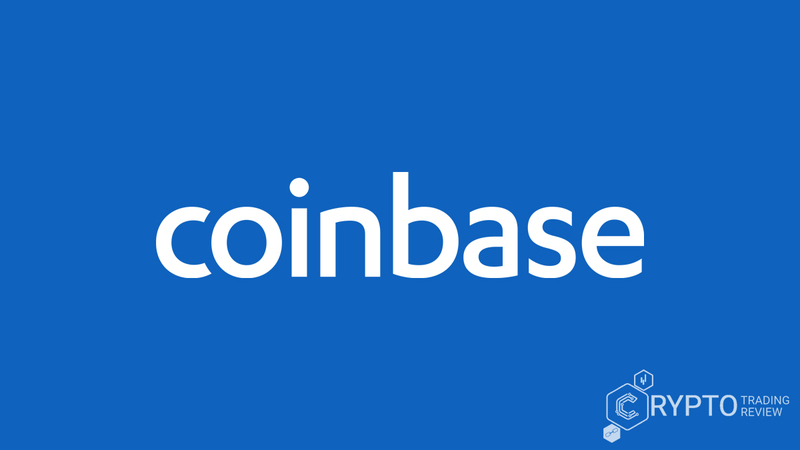 If you skipped the section where we talk about Coinstack and Blocko, go back to the Solution section to see more about that topic. A next picture will give you the better demonstration of the circulation and use of tokens. Aergo ICO has 500,000,000 tokens in total, and 30% of them is available for token sale. Now let’s see token allocation. As you can see, 30% of tokens will go to Aergo community incentives and strategic partners, 25% will be reserved by the token issuer, 10% will go to advisors and key backers, and 5% to employees of token issuer and affiliates. It’s obvious that Aergo is focused on research and development (40% from token sale) then the ecosystem incubation (15%) and the rest are marketing, business development and miscellaneous. Now when we have enough information to make our conclusion about Aergo ICO, we can go straight to the point. We believe that you agree with us that the level of security and scalability of blockchain transactions will influence the usability of blockchain technology in business and in the financial sector. Likewise, we know that the blockchain has shown great potential in various business sectors, which is why businesses have an increasing desire and need to implement blockchain in their business. The need for businesses to use blockchain technology has come from their need for systems that are more transparent and more secure, but also from their need for the simplicity of transactions. When blockchain technology reaches the point where it will be able to process transactions at a wanted speed, it will be used in businesses and banks almost instantly. 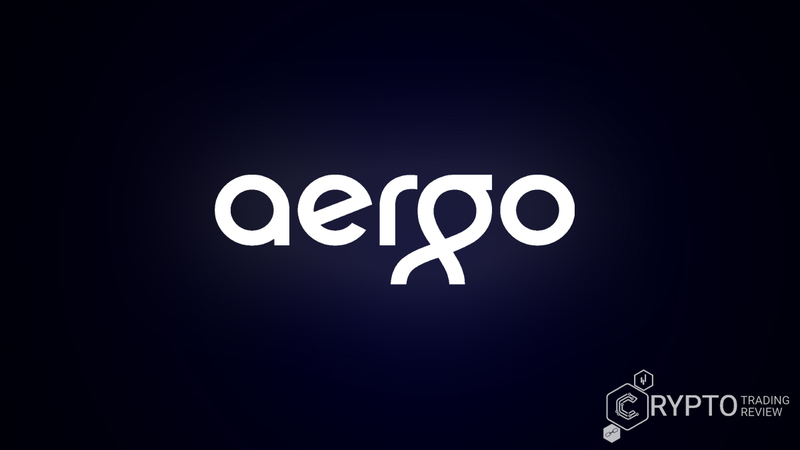 Aergo ICO is a project that simplifies the use of blockchain technology for businesses, thus giving them the ability to be among the first to use the benefits of blockchain technology. Aergo has developed an ecosystem that is very simple and easy to maintain, which is why Aergo will definitely succeed in its efforts to make significant changes to the businesses worldwide. The reason more is that Aergo team is focused on the easy and fast adoption of the blockchain technology for businesses. At the same time, the team is aware of the private and public blockchain problems, and they are committed to solving this problem and many others. It seems like the ICO wouldn’t be ICO if the goal of the project itself wouldn’t be to find the solution for blockchain scalability problem. Aergo is one of them, of course. The difference between many available ICO’s is seen in their scalability solutions. The success that you can expect from the ICO can most often be seen from the simplicity of ICO’s solution. As you could read in our Aergo ICO review, this ICO has a simple solution for scalability, but not only that. If you look at any Aergo solution, you will see that it is simple and easy to achieve. To be more precise, they might not be that easy to achieve from tech team point of view, but comparing to other ICO’s, Aergo is one of those with the knowledge, experience, high hype, and the quality of a solution. Not only that but also many investors recognized the potential of Aergo. If you are interested in participating in Aergo ICO, today is the best way to go for it! Remember, each ICO ends when ICO reaches the hardcap. Visit their website and enjoy your first Aergo token purchase.